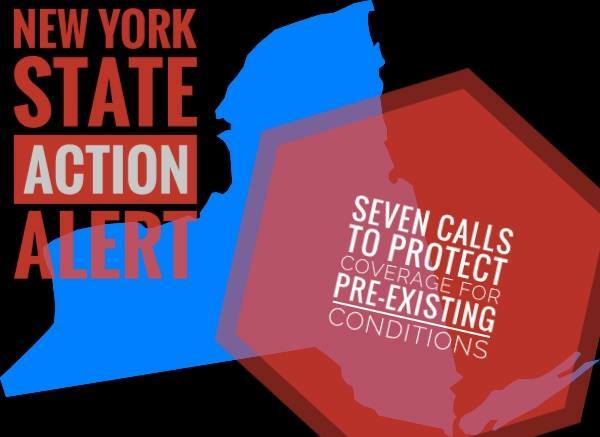 CALLS TO THESE SEVEN NY REPRESENTATIVES CAN HELP PROTECT COVERAGE FOR PRE-EXISTING CONDITIONS! Today the House of Representatives will be voting on a Health Care Bill that could dramatically reduce coverage protections for people with pre-existing conditions. These seven New York representatives are considering voting yes on this dangerous bill. Please call their offices and ASK THEM TO VOTE NO ON THE AMERICAN HEALTH CARE ACT. Share your personal story and tell them why people with pre-existing conditions need better protection. You can speak to anyone in the office, they are keeping counts of what people from their district are saying. Your calls can make a difference in the vote today. If you live in any of these districts or know friends in these districts make sure to tell them exactly where you live. Sharing this message and making these calls is the MOST IMPORTANT THING YOU CAN DO TO PROTECT COVERAGE FOR PEOPLE WITH PRE-EXISTING CONDITIONS!